Come for a ride on The Cockatoo Run from Sydney or Wollongong, hauled by a vintage diesel locomotive. The Cockatoo Run commences its journey in Sydney and travels along the spectacular Illawarra route to Wollongong. The journey from Sydney offers spectacular coastal scenery prior to the ascent of the Illawarra Escarpment. Ian is the RHRS Liaison with rail heritage organisations such as Rail Heritage Australia (NSW) Inc, a specialist rail photographer and our RHRS Committee’s most knowledgeable member on rail related matters. 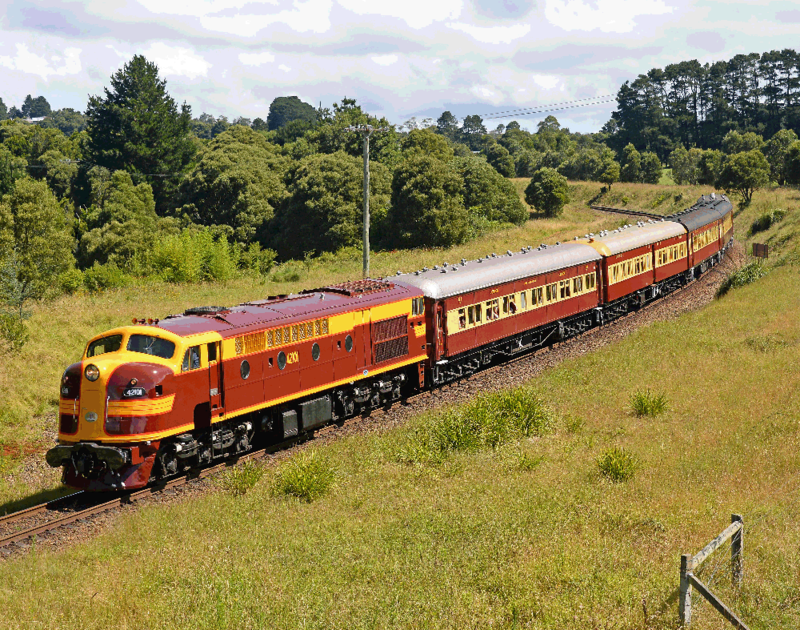 We advise that The Cockatoo Run would be returning to Robertson with the ability for us to sell train tickets from Robertson to Moss Vale and return - The Robertson Loop Train - as we call it. First in First Served Basis - so be prompt! ​This short trip is a continuation of The Cockatoo Run Vintage Tourist Train Run. The trip usually starts around 12.30pm and returns around 3pm. Times vary as heritage trains can sometimes require extra turn-around work. There can be an hour & half to two hours in Moss Vale, so families may like to plan a picnic lunch for the stand-over time. Proceeds from ticket sales go to the work of the non-profit Robertson Heritage Railway Station Inc. in maintaining and running the Robertson Heritage Railway Station & Common complex.